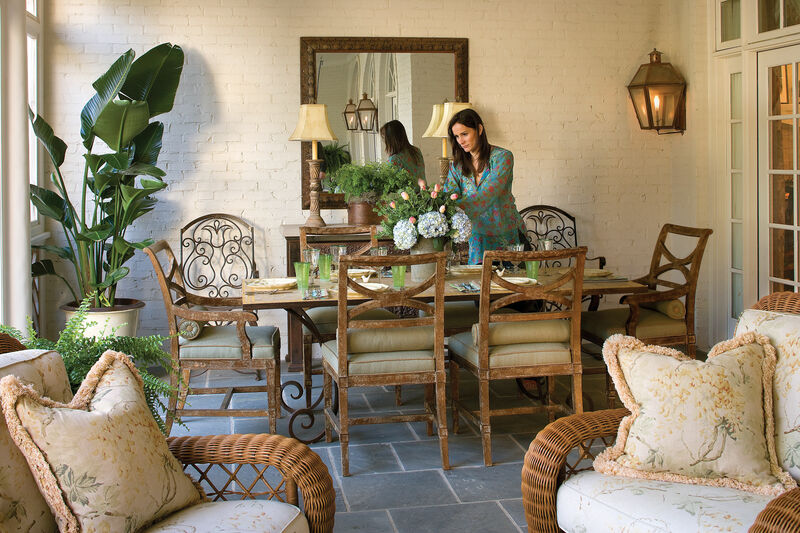 Faux bamboo furniture is chic, airy, and striking - a perfect complement to Southern style. Chippendale railings give this freestanding porch handsome architectural detailing. Anchor a room with formal elements, and then juxtapose them with modern art and painted faux bamboo chairs for a fresh feel. A vintage bamboo cabinet can be repurposed to create an orderly bar area. 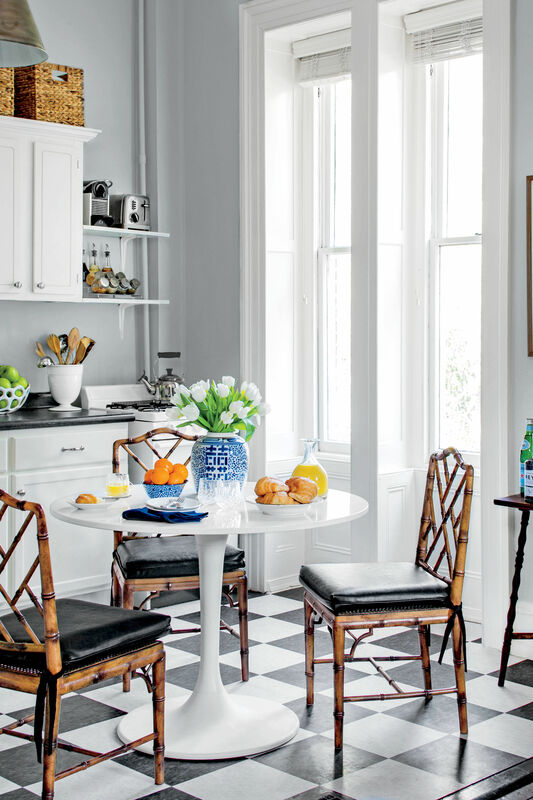 White bamboo Chippendale-style chairs and vibrant turquoise Moroccan poufs transform this space into a casual hangout. An intricate bamboo-inspired chandelier stands out against clean-lined furnishings. Faux bamboo chairs in a natural finish give this room a "loungy" look. The dramatic gold bamboo mirror above a dark living room sofa helps make the space seem more open.